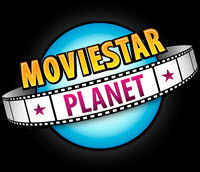 Games Like MovieStarPlanet: Virtual World Games '+g+"
Movie Star Planet is an online virtual world game with creative game play features aimed at kids, tweens and teenagers aged between 8 - 15 years. Here you can create your own movie star, movies, play games, chat with friends, design clothes, go for shopping and much more. If you are a fan of virtual world games like Movie Star Planet and looking for more games with similar game play then find the recommendations for it below and don't forget to mention if we miss any games as we keep on updating this list. Poptropica is an online, role-playing game owned by Pearson PLC, the global publishing and education company. The site is aimed at children ages 6 to 15. Players can go to different islands, compete in multiplayer games, and communicate with each other. Players are given several quests, called islands, which they are encouraged to complete. Second Life is an online virtual world developed by Linden Lab. Experience endless surprises and unexpected delights in a world imagined and created by people like you. Woozworld is an exciting, fun, and unique virtual world and social network for tweens and teens. Here you can Create an avatar, your own look, design your place, set new trends, throw amazing parties and games, compete in awesome contests, even run your own business. IMVU (Instant Messaging Virtual Universe) is an online 3D virtual game which allows its members to communicate with eachother through 3D avatars. IMVU has more than 100 million registered user accounts worldwide and features the largest user-generated virtual goods catalog of more than 10 million items. Fantage,.....if you can think of more, then don't forget to mention it in comments.